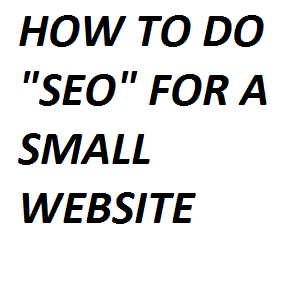 “MY WEBSITE IS TOO TINY FOR SEARCH ENGINE OPTIMIZATION". Yes, I understand why you feel this way because so many starters felt same way before they became webmasters and influencers today. The more reason you should spend time and resources on SEO are because you have little or no site visitors. Optimizing your site makes it more searchable and visible to search engines. If you don’t do SEO, it may be very difficult to get visitors to your site. Engaging in SEO doesn’t really mean you would spend money; rather it is just a way to market your website and make it more presentable. For a small website like yours it is understood that burning some Naira on adverts may not be possible. If this is not possible, then you should actively engage in SEO. But while trying to do SEO you must be patient as you may not see the immediate upshot in traffic, but you sure will see the effect in time to come. Its better you engage in SEO instead of paid campaign for PPC. This is because traffic from SEO is more authoritative than PPC. When you have organic visitors on your site it fosters engage and reduced bounce rate. PPC simply means you are just paying for the visitor’s click and not solving his problem, in this case the user may not return. I can authoritatively tell you SEO is important for every website as this will drive the desired traffic you need to your website. So my advice to you is get engaged in search engine optimization. This may be very difficult to do but it is worth it and you will see the gains on the long run. Most people fail to create unique quality contents for their startup websites. I am not telling you this is easy, not at all! It is very difficult and requires hard work. 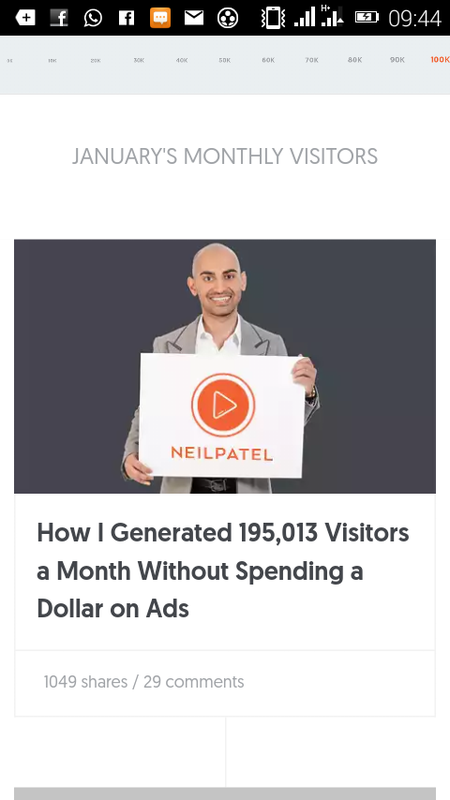 According to Neil Patel, when you create a content strategy you solve people’s problems. Yes, people want solution to their problems and questions. That means Nigerians are looking for reliable sources of information online. Neil Patel is not known for writing thousands of blog posts, he is known for solving people’s problems and writing quality contents, that’s how he got to where he is today. Did you see that captivating headline? That was what shot Neil Patel to the top. When you are a problem solver people will notice and trust you. According to statistics in the US, companies who engage in content marketing get more conversion rate six times more than their close competitors who don’t. ð Now, write richly about it. If you have done this, you are good to go!! Don’t just jump into the normal keyword research and write on trending keywords, if you do this you are restricting your content to a selected few. Focus on the larger crowd and determine the proportionality of what you are giving out and what people are searching for (what they want to receive). You can also research a topic extensively before writing extensively on it, remember content is everything. Go to online reviews site and forums and take a look at reviews, those are people’s problems being vented out, both positive and negative. Focus on what they need from their reviews. Remember your content must be unique, long, exhaustive and authoritative if you want to gain people’s trust. You must produce deep articles if you want to gain the attention of users and move to top of your niche. I hope this helps a bit, come back for the next article, GUIDES TO MAKING A GOOD CONTENT.